We are the young professionals (20- and 30-somethings) of the Natural Resources Foundation of Wisconsin. Join us as we paddle, hike, climb, bike, and explore our amazing state. 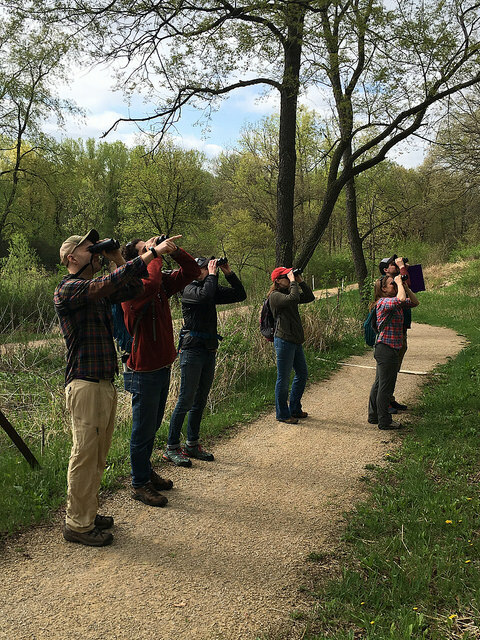 Our trips and events are led by some of the best scientists, ecologists, and naturalists in Wisconsin who generously volunteer their time to share their favorite places and their knowledge of Wisconsin’s outdoors. Want to flex your knowledge about the world of conservation and learn a few things along the way? Join the Wayfarers for Outdoor and Conservation Trivia! The Natural Resources Foundation of Wisconsin will offer prizes for the winning team – plus it’s a great way to hang out with like-minded folks and plan outdoor trips for the coming season. 8 a.m. – 12 pm. Curious about birding? Join us on this intro to birding trip to learn birding basics, including sight and sound ID, birding resources, and tips. We’ll look for spring migratory birds including warblers and waterfowl at Picnic Point, and end with birding and beers at Memorial Union Terrace. 9 a.m. – 12:30 pm. Back by popular demand! Learn about Wisconsin’s wetlands on a bike tour along the Military Ridge and other state trails, visiting different wetlands and sampling Wisconsin wines along the way. We’ll stop for lunch at the Great Dane Fitchburg at the end (optional). Bring your own bike. Don’t miss this grape event! 10 a.m. – 1 pm. 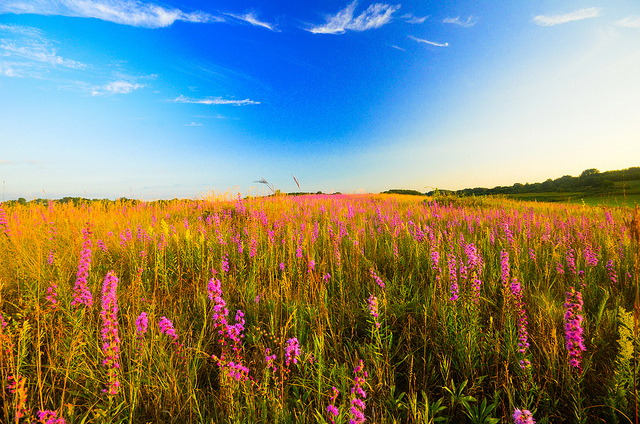 Explore the native prairie of southern Wisconsin! Learn to identify native and invasive plants and how to promote native plant life around your own home. Enjoy a Wisconsin summer evening on this fun shorefishing outing on Lake Monona. 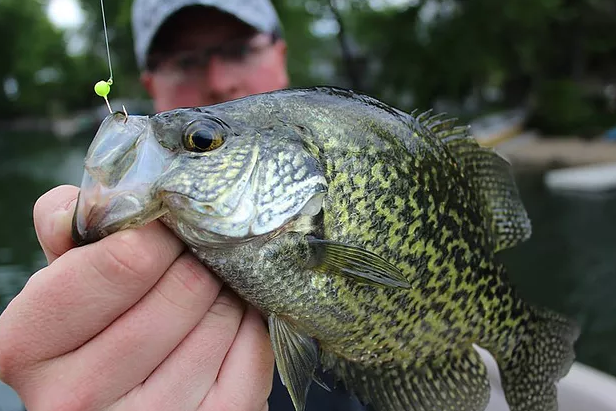 Novice anglers will have fun catching one of Wisconsin’s favorite fish and try their hand at cleaning their catch at the end of the night. Mentors will be on hand to help. All supplies and equipment provided (including local beers for the complete Wisconsin experience). 6 p.m. – 9:30 p.m.
Join us for our popular Glow Float! 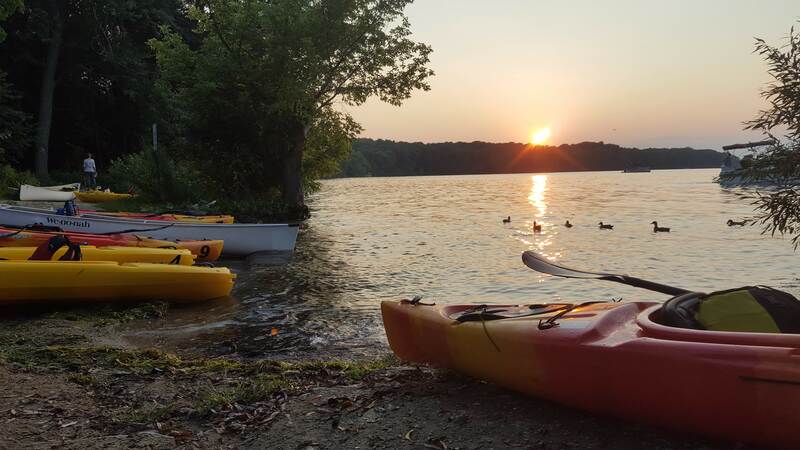 Enjoy a 6-mile paddle from Memorial Union to Lakeshore Nature Preserve’s Picnic Point, and back again. Stop at Picnic Point for a special talk on the history and significance of the Lakeshore Nature Preserve. On the way back to Memorial Union, light up lanterns, adorn some glow, and paddle leisurely back to the docks as Terrace onlookers delight in the floating glow of our flotilla. Join wild game cooking expert John Motoviloff to learn easy techniques for making healthy, delicious meals from some of the finest food around – wild game. Participants will also get to try their hand at game cooking, learn about what sides and beverages to serve, and taste some wild game samples alongside good crusty bread and wine. 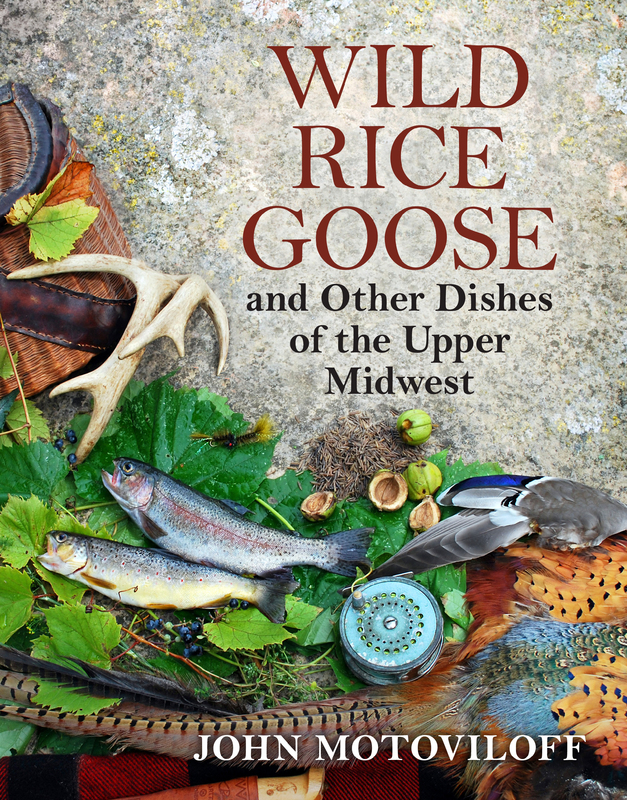 Participants will get their own signed copy of Wild Rice Goose and Other Dishes of the Upper Midwest, and a chance to sign-up for upcoming fall hunting classes. Join us for a full day of hiking, paddling, and exploring Governor Dodge State Park! We’ll hike, bird, paddle, horseback ride, campfire cook, and more during this fun get-together. Campsites are already reserved for those who want to stay overnight! 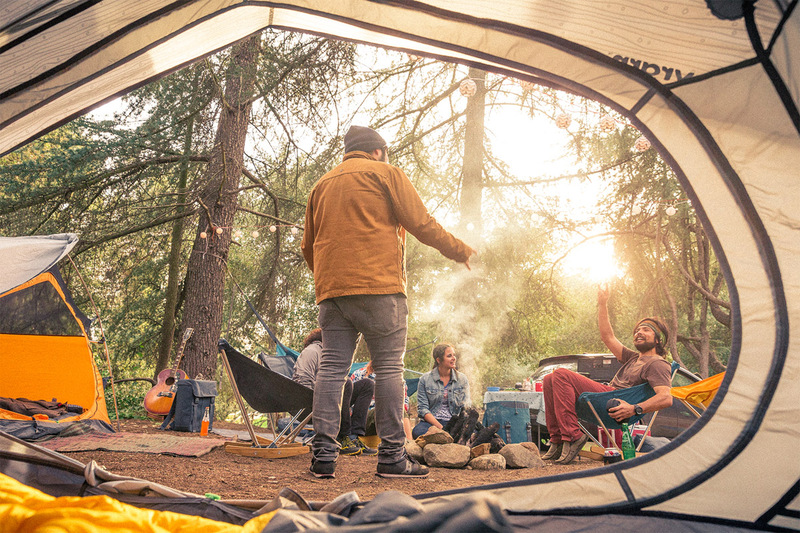 All equipment and camping fees included (need assistance renting camping gear? Contact us and we’ll help you out!). 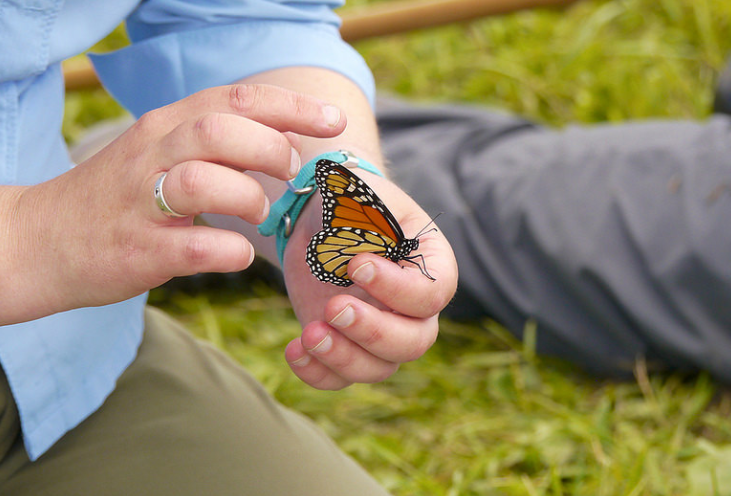 Capture and tag monarch butterflies in the prairies of Madison Audubon’s Goose Pond Sanctuary. Learn about monarchs and their awe-inspiring migration story, and how to create monarch habitat in your own backyard. We’ll celebrate monarchs and our tagging efforts afterwards with a reception in the barn. 1 p.m. – 3 p.m. 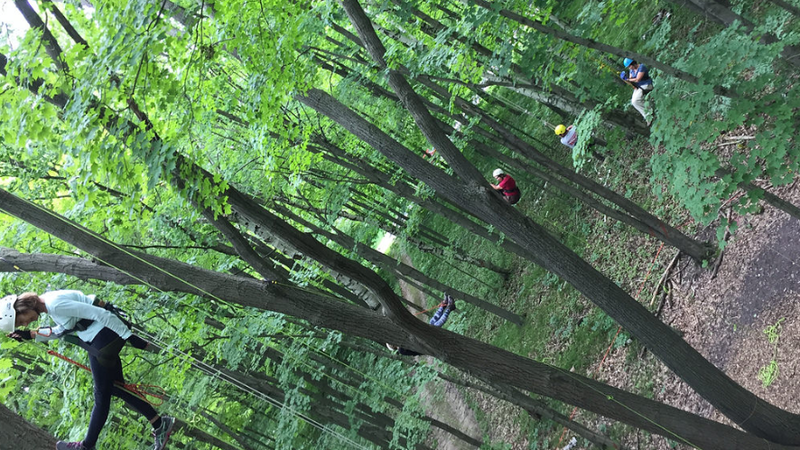 Discover an exciting new outdoor activity: recreational tree climbing! Move up and down a rope system to experience a squirrel’s eye view of the world. Explore the wonders of tree canopy habitats while finding peace, relaxation, and a new perspective. Join us on this behind-the-scenes ramble up a sacred mountain on the Mississippi, featuring archaeology, history, and ecology. 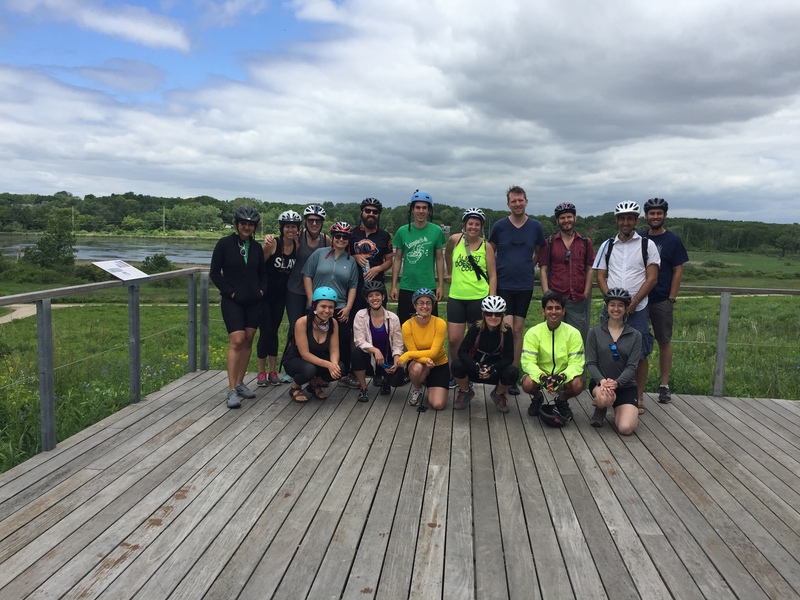 We’ll bike 6.5 miles on the Great River Trail, passing through large areas of restored prairie and barrens on the old Mississippi River terrace. 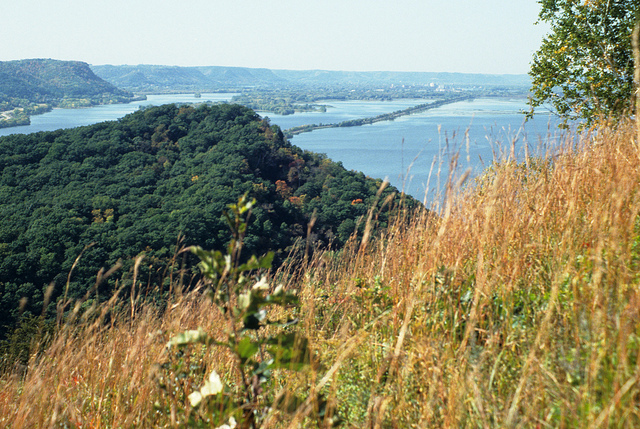 Then we’ll climb the steep and rugged Trempealeau Mountain (normally closed to the public) for spectacular views of the Mississippi, Trempealeau River, and Perrot State Park. We’ll enjoy lunch on the summit, while learning about the site’s Native American history and the sacred nature of the mountain. On the return bike ride, we’ll make a short detour to Elmaro Winery to taste local wine and cheese and enjoy more great views. In addition to our scheduled trips, we host happy hours and pop-up adventures. Sign up for our email list using the form below, and join our Facebook group to stay informed of the latest events. 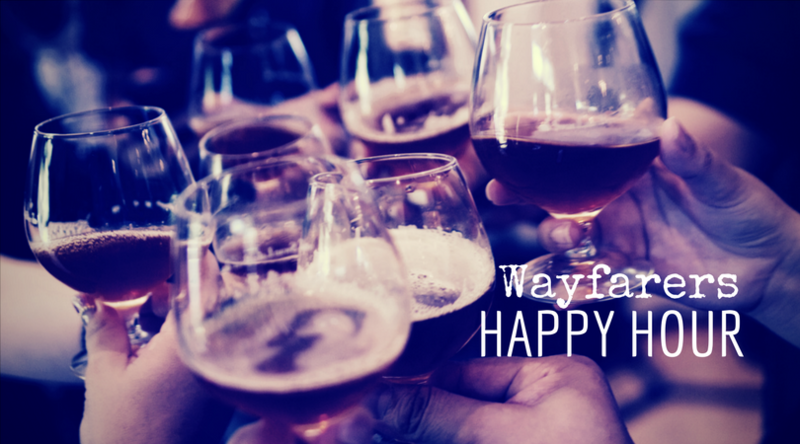 Join other 20- and 30-somethings across Wisconsin for updates on Wayfarers events, trips, and more. 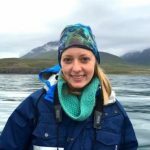 Cait oversees the Foundation’s grant programs and initiatives for conservation and environmental education, ensuring that our investments are science-based, strategic, and impactful. Cait’s work encompasses conservation science and planning, partnership development and capacity building.